As Indonesians prepare to cast their votes in simultaneous presidential and legislative elections slated for April 17, the government has stepped up measures to provide security in the remaining campaign period and on voting day. 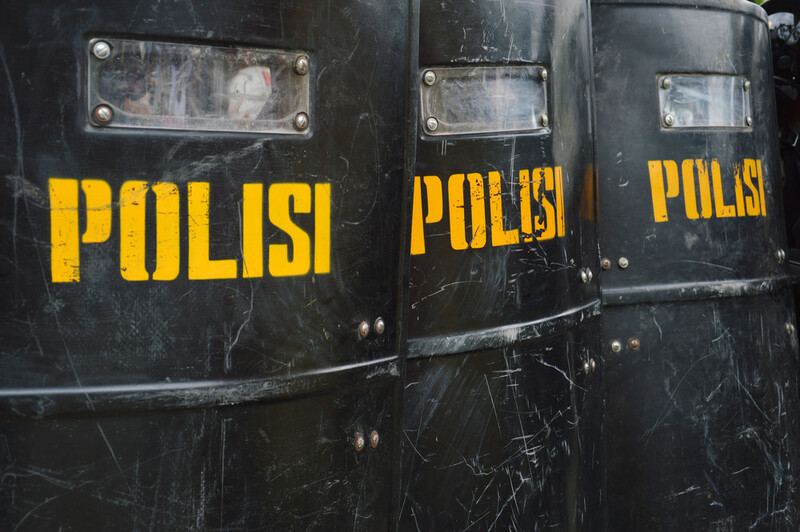 Coordinating Political, Legal and Security Affairs Minister Wiranto said the National Police and the Indonesian Military (TNI) had deployed hundreds of thousands of personnel to secure the election process, including the large campaign rallies that will precede it, starting on Sunday. “A total of 593,812 police and military personnel have been deployed to secure the elections. All of them have received instructions regarding their respective duties,” Wiranto said on Wednesday. An index released by the Elections Supervisory Agency (Bawaslu) for the 2019 general election listed 15 provinces as the ones most prone to disruption that could hamper free and fair elections, with West Papua, Yogyakarta and West Sumatra topping the list. The central government has instructed local administrations to immediately assess the situation in their respective regions and to find ways to curb any possible threats, Wiranto said. “[Disseminating] hoaxes is an act of terror, and we have instructed the security apparatus to take stern action against the terror that may cause public unrest,” Wiranto said. The campaign season of the 2019 election, which pits incumbent Joko “Jokowi” Widodo against rival Prabowo Subianto, will soon enter the final phase. Starting on Sunday, the two presidential candidates and their running mates will enter a three-week period in which they are officially allowed to address the public in large-scale campaign events across the country. The campaign period will last until April 13, before the cooling-off period prior to voting on April 17.